Species Richness and Patterns of Occurrence of Small Non-Flying Mammals of Mt. Sto. Tomas, Luzon Island, Philippines. Philippine Science Letters, 7 (1): 37-44, February 2014. This study examined the patterns of occurrence and abundance of six species of native and three species of non-native rats and shrew in habitats with varying degrees of disturbance. 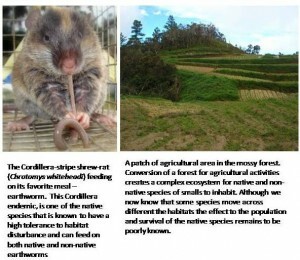 It was observed that although both groups of small mammals were observed to move across habitats, non-natives were mainly restricted to disturbed areas. Data showed that while there is difference between the pattern of native and non-native mammals, there is also specific patterns exhibited by individual species. 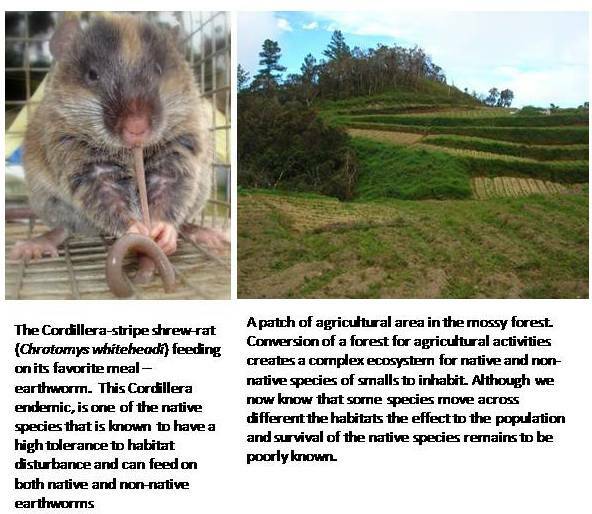 Among the endemic species, the Cordillera striped shrew rat, Chrotomys whiteheadi,had the greatest tolerance for disturbance, even occurring in the most highly disturbed habitats. There is also a strong indication that different species of non-native species respond differently. The abundant and non-native, Polynesian rat,Rattus exulans, tended to only reach disturbed areas of forests, but is not well-adapted to such habitat. This study further suggests that native rats are not easily displaced by the introduced or non-nativespecies, especially in habitats with varying degrees of disturbance. Do Practice Rounds Affect Experimental Auction Results?. Economics Letters, 123 (1): 42–44, April 2014. Economists use experimental auctions to estimate the value of new products and product traits, among others. Researchers routinely use practice rounds to familiarize experimental auction participants with an auction mechanism. Ariely et al. (2003) and Nunes and Boatwright (2004) find that bids can become “anchored” to seemingly unrelated price information. If this is the case, bidding in practice rounds may inadvertently affect bidding in the later rounds of interest if auction participants anchor their later bids to the bids they submitted in the practice rounds. Looking at the results of two previous experimental auction studies, the researchers find a strong positive correlation between bids submitted in practice rounds and bids submitted in the following real rounds of interest. Three possible explanations for this correlation are suggested: a behavioral anchoring effect, a tendency for some auction participants to be more free-spending, and misconception of the experimental auction’s demand-revealing qualities. A new auction to test which, if any, of these effects is responsible for the positive correlation between practice and real bids. Participants took part in one of two experimental treatments that varied only by the size of the induced value (i.e., P20 and P1000) auctioned off during the practice round. The researchers found no evidence of a spendthrift effect. They however do find evidence of anchoring and misconception, but only in the first round of real auction bidding. To mitigate potential anchoring and misconception bias, the researchers recommend pairing practice auction rounds with repeated real auction rounds without price feedback. Mathematical Programming Models for Determining the Optimal Location of Beehives. Bulletin of Mathematical Biology, 76 (5): 997-1016, May 2014. One major reason in low crop yield is the lack of pollinators, especially in plants with separate male and female flowers. Among the pollinator species, honey bees and stingless bees are commonly used in pollination because they can be hived and brought to the farm where crops to be pollinated are grown. However, it is difficult to determine how many hives are needed per unit area and where to install the hives. The amount of nectar and pollen available to the bees should also be considered. The plant population should be enough to sustain the bee colonies and other pollinator species. In some instances, the population density of pollinators may not be adequate to pollinate all the flowers. To optimize pollination, there should be a match between the population density of the pollinators and plants. To help the beekeepers in deciding where to install the hive, with consideration of the strength of the colonies and population density of the plants to be pollinated, mathematical programming models were designed. The model will be very useful in large-scale farms where natural pollinators may not be sufficient to optimize pollination. On W4-Flatness of Some Classes of Generalizations of Einstein Manifolds. International Journal of Mathematical Analysis, 8 (17-20): 881-889, April-June, 2014. Generalizations of Einstein manifolds are important in order to have a deeper understanding of the global characteristics of the universe including its topology. Several generalizations have been defined and studied; and, the first was quasi-Einstein manifold. In this paper, we studied generalizations of quasi Einstein spaces admitting the W4-curvature tensor. We obtained necessary conditions for W4-ﬂatness of quasi Einstein, N(k)-quasi Einstein, generalized quasi Einstein, pseudo generalized quasi Einstein, N(k)-mixed quasi Einstein, mixed generalized quasi Einstein, super quasi Einstein and mixed superquasi Einstein manifolds. Curvature tensors are important to determine geometric properties of manifolds. Seasonal Assessment of Greenhouse Gas Emissions from Irrigated Lowland Rice Fields Under Infrared Warming. Agriculture, Ecosystems & Environment, 184: 88–100, February 2014. Rice fields are considered as one of the major sources of methane gas budget, and it is important to understand that they also emit nitrous oxide. The study sought to determine the effect of temperature free-air controlled enhancement (T-FACE) system in assessing its suitability for flooded rice fields. The study aimed also to evaluate the emission pattern of greenhouse gases by testing the ambient temperature and elevated canopy temperature in the 2010 WS and 2011 DS cropping systems. The elevated temperature was maintained using hexagonal array of 6 infrared heaters. Methane and nitrous gas emission rates were monitored weekly for two cropping seasons and in one fallow season using chamber technique in combination with gas chromatograph. The methane gas emission rates showed distinct seasonal variations. It increased with plant growth and peaked from flowering to maturity period in both seasons. Estimation of cumulative emission over different growth stages showed that the highest amount of methane gas was emitted during the reproductive period. Emission of nitrous gas was only detectable after harvesting of rice when field was dry and not detected throughout the growing period. On the other hand, the fluxes of carbon dioxide followed the trend of methane emission. Methane emission rates, cumulative emission and the global warming potential were higher in DS when compared to WS. Similarly, the grain yield was also relatively higher in DS than WS. Results such as these suggest that the drainage of field at maturity period and maintaining dry fallow could mitigate the methane gas emission. The hexagonal array of infrared heaters maintained the desired temperature gradient and useful for warming experiments in the climate change context. DNA Barcoding of Birds in the University of the Philippines Diliman Campus, with Emphasis on Striated Grassbirds Megalurus palustris. Philippine Journal of Science, 142 (1): 1-11, June 2013. DNA barcoding is a process that uses the genetic sequence of a gene segment of an organism in order to determine its identity. It is a taxonomic tool that is increasingly being used by researchers across the globe to aid in the identification of species. Using this procedure on bird species in an urban green space within Manila i.e. the University of the Philippines campus in Diliman, DNA barcodes of eleven species were generated. Using BLAST, an online tool that matches inputted genetic sequences to uploaded gene profiles, the cytochrome oxidase subunit 1 (COI) sequence of every species from this study was correctly matched with the corresponding species having a COI record in Genbank, with the exception of the Striated Grassbird Megalurus palustris, making it a new COI record. The three distinct sequences for M. palustris were then compared with COI sequences from other bird species within the sylviid “Old World Warblers” group to determine the effectiveness of the DNA barcode in discriminating it with other species. Results show that COI was successful in placing M. palustris as a distinct species and that DNA barcoding is a viable tool in species identification. Assessment of Jatropha curcas L. Biodiesel Seed Cake Toxicity using the Zebrafish (Danio rerio) Embryo Toxicity (ZFET) Test. Environmental Science and Pollution Research, 21 (9): 6044-6056, May 2014. 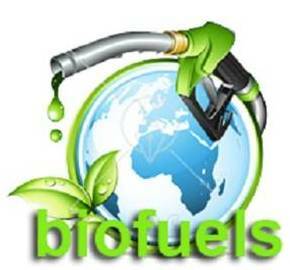 Consequent to the growing demand for alternative sources of energy, Jatropha curcas seeds remain to be the favorite for biodiesel production. However, a significant volume of the residual organic mass (seed cake) is produced during the extraction process, which raises concerns on safe waste disposal. The present study has shown the ability of the seed cake of J. curcas to elicit acute toxicity on zebrafish embryos in a concentration- dependent manner. All mortalities were observed at 24 hpf. This pattern was consistent with studies implicating the activity of phorbol esters, the widely reported toxic component inthe J. curcas seed cake wherein ca. 0.7532 to 2.386 mg phorbol esters are present in 2 g/L seed cake. The L C50 of the J. curcas seed cake was computed at 1.61 g/L. The obtained results from the present study recommend for a good state of occupational conditions (such as the strict use of personal protective equipment) and to limit the exposure of workers involved in the general production of biofuels. Proper handling, disposal methods, and detoxification of post-production seed cakes by energy firms are mandatory in order to alleviate negative environ- mental impacts. Growth of Cobalt Nanowires under External Magnetic Field. Advanced Materials Research, 911: 136-140, 2014. Metallic cobalt (Co) nanowires with a mean diameter of about 240 nm and lengths up to 30 mm are grownin solution by electroless deposition under external magnetic. Without magnetic field, only quasi-spherical Co nanoparticles are formed. In the presence of the magnetic field, strong attractive dipolar interactions are induced among the Co nanoparticles,. This results in the preferential assembly of Co nanoparticles into nanowires with wire axes parallel to the magnetic field direction. Stronger magnetic field intensity produces longer and thinner Co nanowires. The Co nanowires exhibit ferromagnetic properties at room temperature with an enhanced coercivity of 800 Oe due to shape anisotropy. Modelling Anisotropic Water Transport in Polymer Composite Reinforced with Aligned Triangular Bars. Bulletin of Materials Science, 37 (1): 101-106, February 2014. 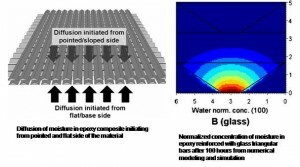 We developed a finite element model to describe moisture diffusion and transport in epoxy composite reinforced with aligned triangular bars made of vinyl ester and glass at 80 0C. The constructed finite element model was found to be in good agreement with our experimental results on composites made of vinyl ester. We then apply the model to predict the influence of glass bar orientation on experimental moisture diffusion in epoxy composites. 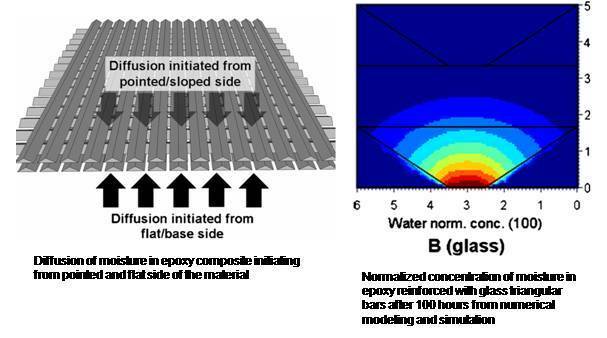 We found out that orientation of glass bars significantly affect moisture diffusion and transport in epoxy composites. 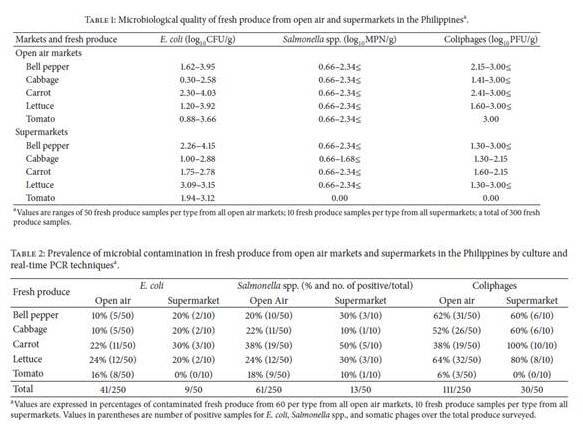 Microbiological Quality of Fresh Produce from Open Air Markets and Supermarkets in the Philippines. Scientific World Journal, 2014: Article ID 219534, 7 pages, 2014. A total of 300 fresh produce samples eaten raw, namely, bell pepper, cabbage, carrot, lettuce, and tomato from five open air markets and five supermarkets, were surveyed for their microbial quality in the Philippines using culture technique and confirmed by molecular analysis. E. coli isolates were observed in 50 of the 300 fresh produce samples surveyed. Further, of the 300, 74 produce samples were found contaminated with Salmonella spp., and 141 samples recovered somatic phage from produce wash solutions. 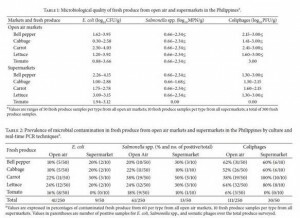 This study is the first comprehensive survey ofmicrobial contamination of fresh produce in the Philippines. The increasing awareness of Filipinos of a healthy diet, that is, consuming fresh produce,may also pose an unintentional risk of increasing the incidence of gastrointestinal illnesses (and other related diseases) by the consumption of contaminated foods. The recent undocumented food outbreaks in the country also make it timely to investigate the prevalence of bacterial pathogens and phages in food. Terahertz Emission Enhancement in Low-Temperature- Grown GaAs with an n-GaAs Buffer in Reflection and Transmission Excitation Geometries. Journal of Optical Society of America B – Optical Physics, 31 (2): 291-295, February 2014.